For some folks, writing may be the cure to get through a life in serious need of editing. For me, I want–no, need–my life edited first before I can write. My unedited life disables my will to create. So, I drop the writing to edit the life, to seek equilibrium. I don’t need the life perfect, but I can’t work when my life bangs around like an unbalanced tub in a washing machine. Today, for the first time in a long while, I hear a familiar voice inside me singing a forgotten song. Though distant, I recognize the voice of my muse. The far-off song hints completion of my life-editing task is ahead. It suggests the writing is coming back. Hopefully soon. Lauren Carr, a bestselling author on Amazon.com, has words of wisdom for authors. A few months ago, a journalist from a local magazine working on a feature about local authors called me at home. My name came up while she was interviewing other local authors and she had never heard of me. When she went online to find out what these authors were talking about, she was floored to see my author ranking on Amazon (top-100 in overall sales for mysteries/police procedurals) and more than one of my books listed in the top-100 in their categories. Here was a best-selling author living right under her nose! Not only was I a best-selling author on Amazon, but I was a publisher to boot! She interviewed me. I sent her free copies of my books (print versions). The magazine ran a spotlight feature on me. It was everything that new authors dream of, except for one thing: I saw no jump in my book sales as a result of that feature. I wasn’t one bit surprised. That’s why I don’t concentrate any effort on the local media, which is why this local journalist knew nothing about me. In 2004, when A Small Case of Murder was released, the local newspapers sent reporters out to my home to interview me, which meant I had to get dressed, and published big features on their front pages—above the fold (a coveted position in the newspaper game). The features contained both my photograph and a picture of my book cover. My first book signing, a local coffee shop that has since gone out of business, was listed and there was a line out the door of people who had read the article. In January 2013, when Blast from the Past was released, I sent out a press release to over two hundred bloggers and reviewers and a dozen or so of the local media. A local morning radio show interviewed me, which they always do. None of the newspapers called me. I didn’t call them. Some friends did tell me that they saw the press release buried somewhere in the local section. I never saw it because I don’t get the local newspapers. That’s okay. Despite the lack of attention from the local media, Blast from the Past still made the Top-100 in sales for mysteries and police procedurals (both e-book and print) within the first week. Unfortunately, new authors with visions of the local newspapers beating on their doors for an interview about their new book coming out are bound to be disappointed. Unless the writer is friends with the newspaper editor or their book is about a really hot topic, the local media is barely going to notice because “Local Author Publishes Book” is not big news anymore. Every week, the newspapers get press releases or phone calls from people in the local area who have published a book. There’s not enough room on the front page to print a feature about every local author. So, they have to pick and choose. A couple of the local newspapers in our area will occasionally do one feature in which they will list every new or local author and their latest books, like the magazine that had called me. They reserve features that spotlight one specific author for those who have risen above the crowd in some way. 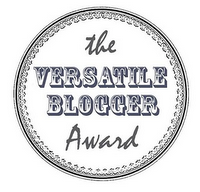 Along with the rest of society, I have shifted my attention in book promotion to online blogs and reviewers. They are my bread and butter. So much so, that in some ways, I ignore the local media. Authors who want to get the word out about their books need to get out of their own back yard and go out into the world—beyond the world—they need to get the news out into cyberspace. The biggest newspaper in our area has a circulation of twenty-thousand. Estimating from various sources, only fifteen percent of the population reads books. That’s three thousand out of the twenty-thousand who might be interested in your book. Not everyone reads every type of book. For this exercise, let’s say that it’s an author, like yours truly, and the feature is about my latest mystery. According to Publishers Weekly, out of readers, fifty-three percent read fiction and forty-three percent read nonfiction. The favorite fiction category is mystery and suspense (good for me) at nineteen percent. Do the math: One thousand, five hundred and ninety out of the three thousand book readers read fiction. However, not all of them read mysteries. Nineteen percent of them may be mystery fans. That leaves a target of three hundred and two people out of the newspaper’s circulation who may see and be interested enough in me and my book to buy it. Suppose, out of those three hundred mystery fans, not all of them are home when the newspaper arrives or they don’t get a chance to read the newspaper on that day. Suppose they don’t see the article. Suppose they don’t like dogs, but prefer political thrillers. For more bang for your time and effort, you need to get out of your own back yard and take your book into cyberspace into a galaxy where there are beings waiting to welcome you. With over two thousand friends on Facebook, plus almost two-thousand friends on Goodreads, a great review will be seen by almost four thousand people—all of whom are readers! They wouldn’t be on Goodreads if they weren’t! Plus, since they know I’m a mystery writer and have friended me, they have to be somewhat interested in mysteries. With a growing list on Twitter, when I tweet that news, it goes out like a spiderweb to thousands more. These are thousands of readers worldwide. Yep, with the right promotion, you will have readers in Spain buying your book while sitting in your bathrobe and slippers. Twenty-seven percent of my book sales are overseas. I guarantee none of those readers are buying my book because of an article in the local newspaper. Your local area contains how many people. Out of that population, fifteen percent read books and only a fraction of them may be interested in your book. After promoting your book for six months, going to every bookstore, shopping center, coffee shop, and being featured in the newspaper every chance you can convince the editor to run an article about you, you can reasonably believe that everyone who lives within a hundred mile radius knows about your book and has bought it if they intend to. Now, your readership pool is dry. The pool is always getting new readers who only come into the galaxy because they are seeking books. If they chose, if your book is good enough, these beings have the ability to take your news deeper into space into their galaxy to spread the word to even more readers. As you make new friends and followers, they have the ability to spread the word about your book, even years after its release. Book Promotion Has Come a Long Way, Baby! Back when A Small Case of Murder was released, my publicist at that time told me that I had three months to make it a hit. Reason: That’s how long brick and mortar bookstores would allow it on the shelves. If a book is not a hit in three months, it is taken off the shelves to make room for new releases. In cyberspace, the bookshelf space is infinite. Authors can continue promoting their books indefinitely. It’s Murder, My Son, which was released in June 2010, made Number 1 in cozies in August 2012, two years after its release, when discovered by mystery fans via an Amazon promotion and word of mouth from readers. It has continued to be listed in the top-100 since that time with sales every day to even new fans while word is continuing to spread across cyberspace. It’s a brave new wonderful world! Lauren Carr has authored a new book to help authors sell books. Who doesn’t want to be successful while sitting in their own home, with their feet up? 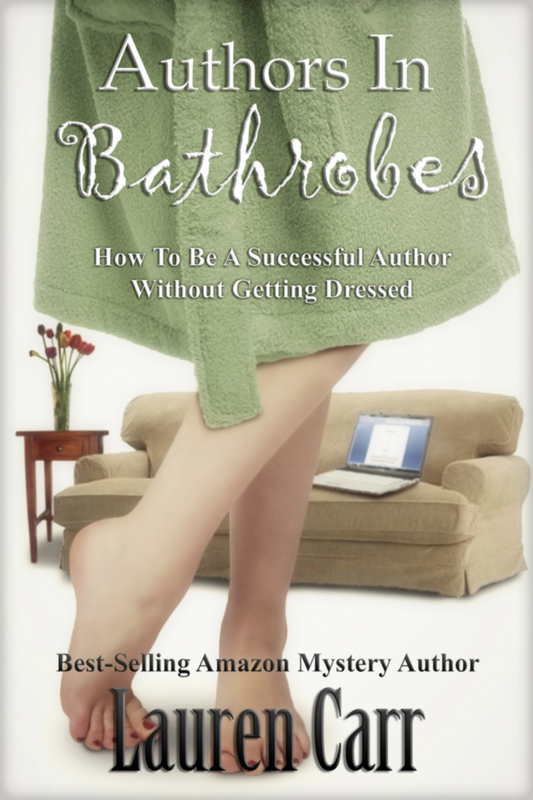 Well, Authors in Bathrobes tells budding writers what it takes to do just that. In her new book, Lauren Carr tells writers the truth about what it takes to be a successful writer today: determination, hard work, a dependable laptop, a full pot of coffee, comfy slippers, and a durable bathrobe. Lauren Carr is the best-selling mystery author of the Mac Faraday Mysteries and Lovers in Crime Mysteries. Based on book sales for her mysteries and anthologies, Amazon regularly lists her among their top one-hundred mystery authors in both e-book and print. The owner of Acorn Book Services, Lauren is also a publisher. This year, fifteen titles written by independent authors (not counting Lauren’s own titles) will be released through the management of Acorn Book Services. Lauren Carr is the author of the Mac Faraday Mysteries, which takes place in Deep Creek Lake, Maryland. It’s Murder, My Son, Old Loves Die Hard, Shades of Murder, and Blast from the Past have all been getting rave reviews from readers and reviewers. The Murders at Astaire Castle will be released September 1. Lauren Carr is also the author of the Lovers in Crime Mysteries. Dead on Ice was released in September 2012 to rave reviews. The second installment, Real Murder, will be released later this year.